Perth-based Cassini, which purchased West Musgrave in April 2014 from former owner BHP, has been in a JV agreement with OZ Minerals at the site since October 2016. 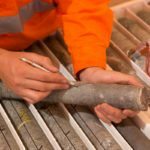 OZ Minerals completed stage one of the agreement ahead of schedule in October 2018 by spending $22 million to acquire a 51 per cent interest in the Western Australian project. This included $15 million on pre-feasibility study (PFS) and definitive feasibility study (DFS) expenditure and $4 million in exploration costs. 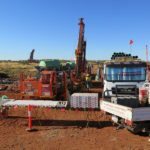 OZ Minerals has now satisfied stage two of the earn in by spending a further $14 million for a total spend of $36 million so far. 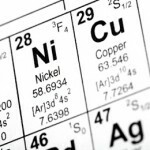 This includes funding for the PFS at the Nebo-Babel nickel sulphide discovery within the site, which has been referred to by Cassini as the largest discovery of its type in over 25 years and the first for the West Musgrave region. The stage two milestone was achieved 14 months ahead of schedule. OZ Minerals will continue to sole fund Nebo-Babel towards the DFS stage as a loan against Cassini’s 30 per cent interest in West Musgrave to be repaid five years after commencement of production at the project. OZ Minerals also released its quarterly report today, posting a cash balance of $342 million. The company’s flagship Prominent Hill gold-copper mine in South Australia is on track to meet its annual guidance after achieving a production rate of 25,575 tonnes of copper and 32,947 ounces of gold in the three months ending March 31. The company also acknowledged the death of a subcontractor at the Carapateena site (also South Australia) in March, which the company said “had a profound effect on our teams”.